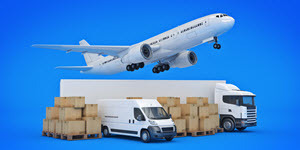 Melbourne, Geelong: ... choice for eBay packing, posting, courier and shipping services.Computers and electronic equipment ... for all your packing and shipping needs. Melbourne, Bayside: ... choice for eBay packing, posting, courier and shipping services.Computers and electronic equipment ... for all your packing and shipping needs. Melbourne, Inner City: ... choice for eBay packing, posting, courier and shipping services.Computers and electronic equipment ... for all your packing and shipping needs. Melbourne, South East: ... choice for eBay packing, posting, courier and shipping services.Computers and electronic equipment ... for all your packing and shipping needs. Melbourne, East: ... choice for eBay packing, posting, courier and shipping services.Computers and electronic equipment ... for all your packing and shipping needs.